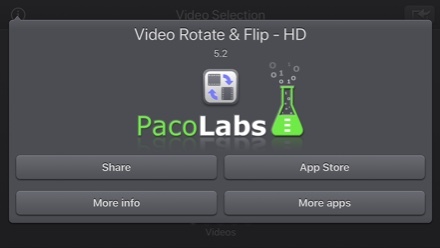 With Video Rotate & Flip, you can now rotate and flip your videos in a very easy way, directly on your device. you recorded a video with a bad orientation because you forgot to remove the rotation lock of your device. 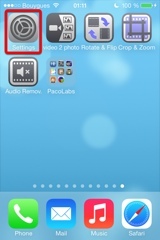 Use Video Rotate & Flip to change the orientation. you took a video of the ground or the sky. 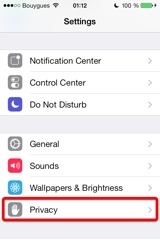 The orientation choosen by the device is not optimal and you want to change it. you want to add a mirror effect, flipping the video horizontally, in order to make things impossible to read. you just want to add some funny effect to a video, turning it upside down, or rotating it. some video players on your computer does not rotate the video correctly. 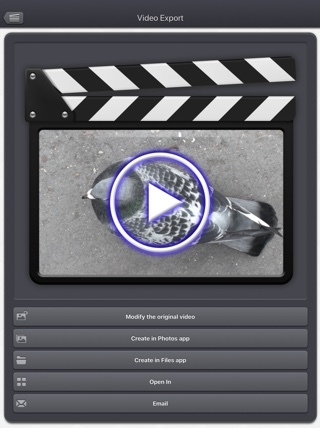 Use Video Rotate & Flip to fix the video and apply the orientation. If the video is still not readable on your computer, your video player might not fully support the .mov file extension. Use Quicktime instead. 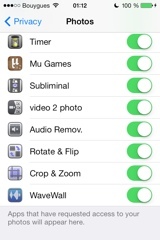 You must go to the Settings application -> "Privacy" -> "Photos", and set the app (Rotate & Flip) to ON. Unfortunately, Video Rotate & Flip (and every other app from the Appstore) cannot access those videos in the Video application yet. 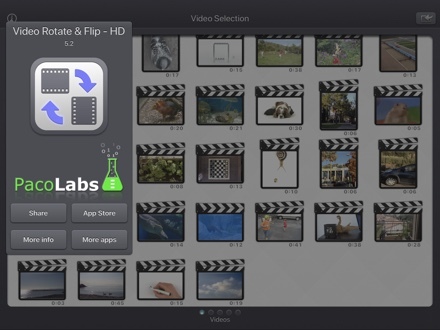 Rotate & Flip, also supports the iTunes Files Sharing feature, so you can manually add some external videos to Video Rotate & Flip quite easily. Q : The rotation works on iPhone but not on my computer. What can I do? open that video in Video Rotate & Flip. do NOT perform any rotation or flips (as the desired orientation should be displayed). 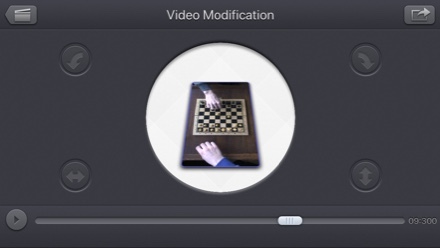 export the video using the improved compatibility mode. 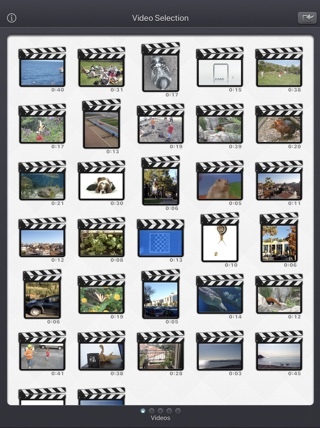 save the video (in your Camera Roll, or itunes File Sharing) and import it in your computer. 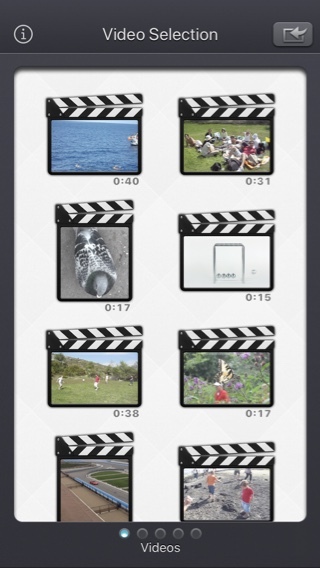 Check that you are really exporting the video (and not only viewing it in the application). 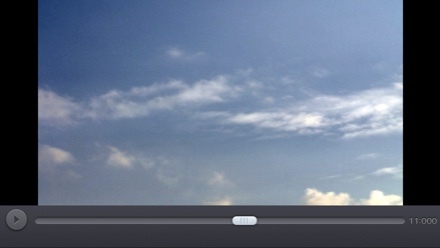 Press the top right icon, once the video is rotated or flipped according to your need. Select one of the available export modes (check the next point for more informaton about that). Select one the available destination. Check that you have selected the export mode that you need. If your goal is to fix a video that is rotated/inverted in your computer (using window media player of VLC) or in youtube: You should use the Slower conversion, improved compatibility mode. 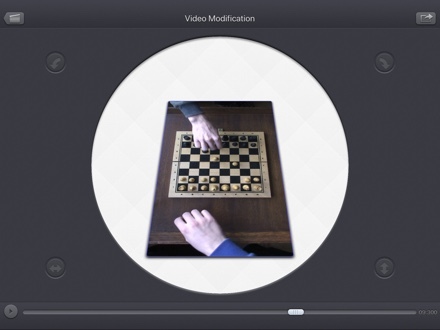 If your goal is to rotate or flip a video and that you plan to view it on your iPhone/iPad, in Quicktime of in any video player that fully supports the most recent versions of the .mov video file format: You should use the Quick conversion, no quality loss mode. Check is that you are correctly importing the rotated video on your computer, and that you are not importing the original (unchanged) one. Video Rotate & Flip does not delete the original video. When you export the video, a new one is created. 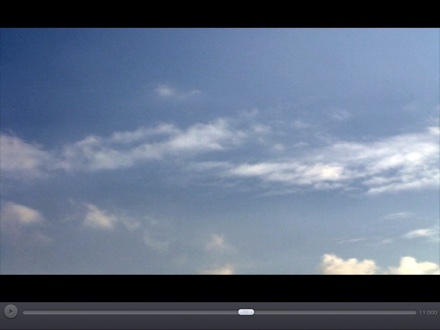 The Quicktime video player (made by Apple) should be able to read rotated videos without any problems. If that's not your case, check that you have the latest version version installed on your computer. 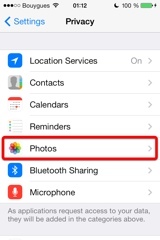 When the media is saved to the camera roll, it is automatically associated to an album named Video Rotate & Flip. 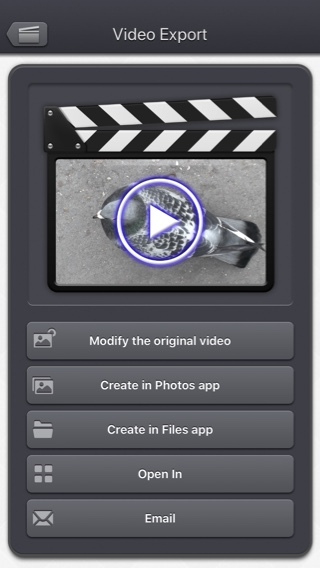 Here is the latest version of Video Rotate & Flip!